Change is always afoot at Peregrine. To keep up-to-date with the latest vintage releases, award announcements and media publications see below. Resolution Island/Mauikatau (c21000ha), situated between Dusky and Breaksea Sounds, is New Zealand's fifth largest island. It is rat and possum free, and stoats are maintained to very low numbers due to an ongoing and extensive trapping program across the island. With our help and by working with DOC we hope that one day Resolution Island will be permanently stoat-free and threatened species such as our tieke/saddleback can be reintroduced. Several of our fabulous wines have received accolades at the 2017 IWSC completion. 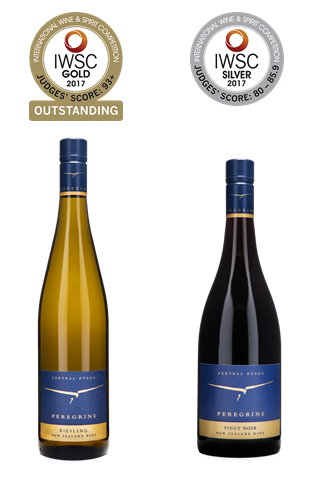 Gold Outstanding has been awarded to the Peregrine Central Otago Riesling 2012 with a judges score of 93+ points, and Silver to the Peregrine Pinot Noir 2014 vintage. Now in its 48th year, the aim of the IWSC competition is to award excellence to wines and spirits worldwide, encouraging recognition for quality products. Entries into the Competition are received from nearly 90 countries worldwide. The Gold Outstanding for the 2012 Peregrine Riesling was one of only four awarded to New Zealand white wines, and one of 20 worldwide. 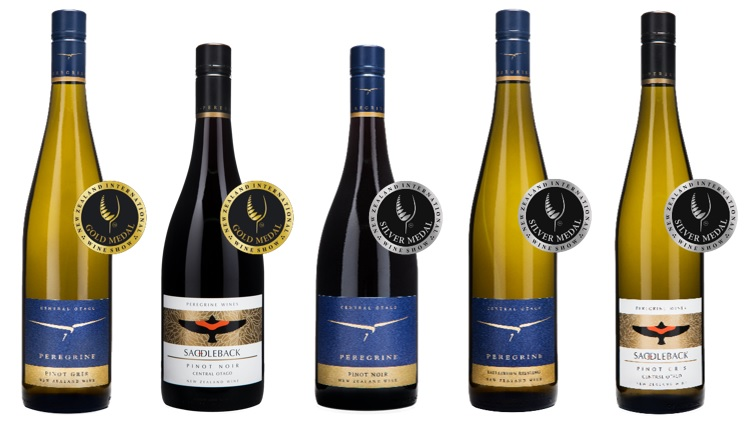 These highly recognized awards are further recognition of the ongoing care and attention that the entire team at Peregrine put into crafting our outstanding range of wines. We are excited to have received the following great results at the New Zealand International Wine Show. 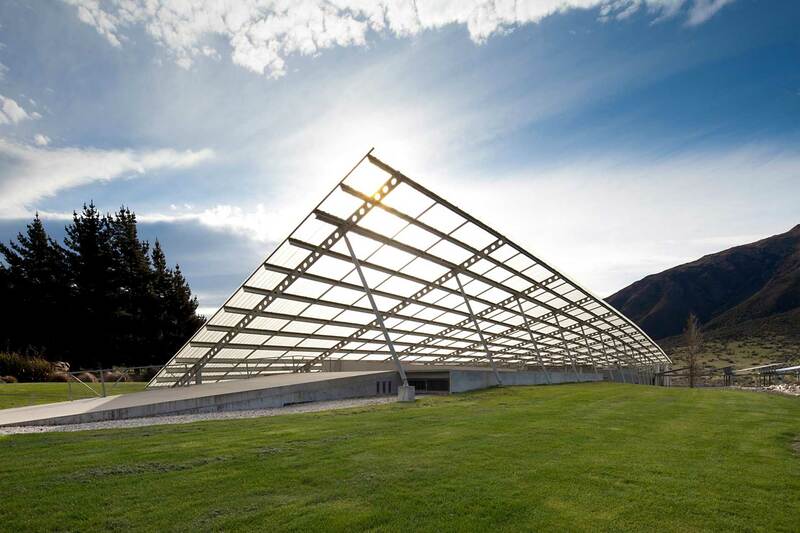 The New Zealand International Wine Show is the largest wine competition held in New Zealand, with entry open to wines from any country and made from any grape variety. Bob Campbell MW was the Chief Judge and his winemaking senior judges were Tony Bish, Peter Cowley, Michael Bann, Michael Ivicevich, Ant MacKenzie, Larry McKenna, Olly Masters, Alastair Maling MW, Jen Parr, Nick Picone, James Rowan and Sam Smail. This is a testament to all the hard work from our entire team, from our estate vineyard crew who put so much effort into producing exceptional grapes, to the winery who do a wonderful job transforming that fruit into award winning wines. We look forward to the Awards Dinner, medal presentations and trophy announcements at the Crowne Plaza Hotel in Auckland on Saturday 07 October. Peregrine Wines are excited to have been selected by Tyson Stelzer as part of his Australian & New Zealand Wines of the Year for 2017. 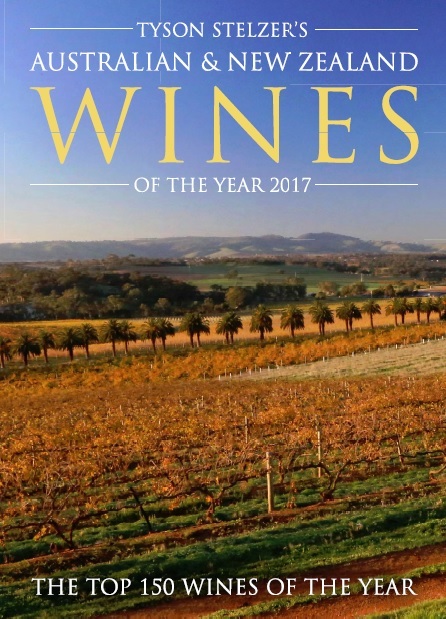 “A hand-picked selection of just 150 heroes from the thousands of wines tasted over the past year”. The 2014 Peregrine Pinot Noir is recognized in The Top 20 Wines of the Year Under $50. A blend of Bendigo, Pisa and Gibbston vineyards, this is a release that encapsulates the black and red cherry fruits of Central Otago with wonderful violet and rose petal perfume, supported gently by nutty, faintly smoky French oak. A gorgeously succulent palate is intricately woven with a silky tannin structure of masterful finesse. Another outstanding Peregrine. Pop in and visit us at the Peregrine Wines Cellar Door in Central Otago to taste this fabulous wine, or visit our online shop to view our full range. Enjoy!